When it comes to addressing the ongoing need for aesthetic renewal in the retail industry, Gerflor remains one of the leaders. The company follows design trends closely and the Exclusive Edition Range, which forms part of its CREATION collection, continues to please both designers and clients thanks to its beautiful industrial effect. 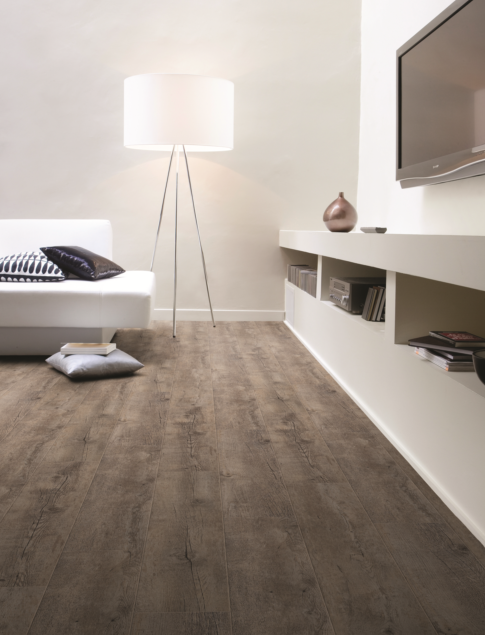 The LVT (luxury vinyl tile) range is characterised by its compositional freshness and its wood and oxidised finishes, which are particularly trendy this year. It is available from Tiletoria and sister company Floors Direct and comes in tile format, plank format and the exclusive XL format in 150 x 23cm and a minimum length of 121.9cm. Two of the unique selling points of this range include low maintenance and good hygiene, which are guaranteed thanks to a surface treatment with polyurethane (PUR +). There are approximately 200 colour references in the wood effect motifs as well as realistic mineral and metallic effects. CREATION 55 is another range that appeals to designers and specifiers who are working on boutique, office and restaurant projects. The two decorative trends proposed by this multifaceted collection are wood effects and metallic/industrial. The refinement and rustic motifs of this realistic grey wood series give it a striking appeal in virtually any high-end installation project. The company has also launched exciting Chevron/Herringbone finishes in this range to characterise every type of space in a refined way. For more information, contact Tiletoria on Tel: +27 (11) 462 4640 or via www.tiletoria.co.za.